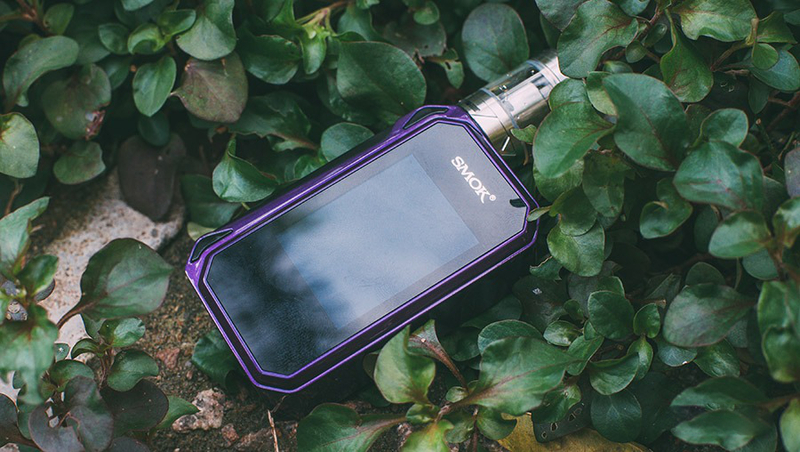 Touchscreen host is not new things, SMOK G-PRIV is to take the concept of touch-screen products in one of the representative. Today, G-PRIV released a new V2 upgrade version, today for everyone to share this V2, in the end, what changes or optimization. The first is the version of the SMOK G-Priv 2 Kit with the atomizer has been changed from the BIG-BABY X-BABY, this is a better taste, the operation is more simple top of the finished product nebulizer. 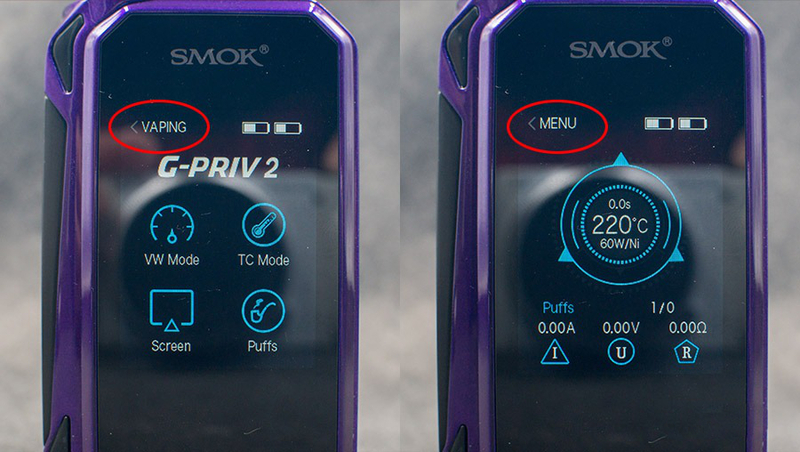 Of course, the original factory in the SMOK G-Priv 2 Kit is still SMOK routine routines – package sales. 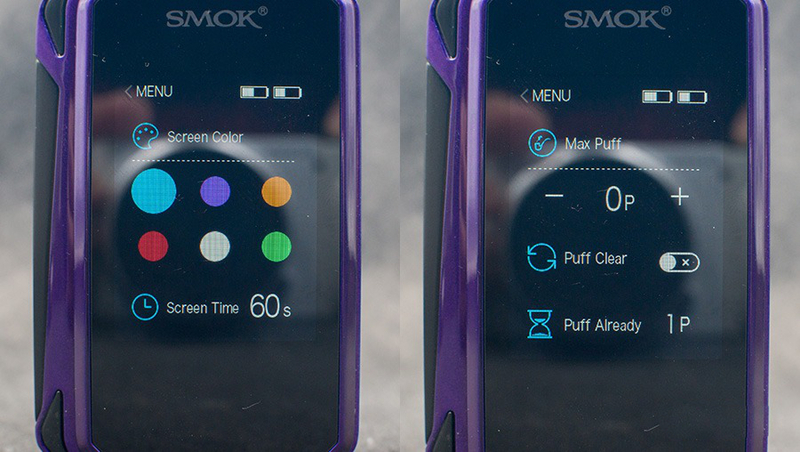 Through the official website can refer to SMOK G-Priv 2 Kit has seven colors, it is in addition to replacing the original before the original atomizer, the most intuitive place is that the host’s width reduced by 6.5MM, so V2 grip and portability are bound to strengthen A lot, in addition to the appearance of the host outside the piano paint surface is also more delicate, more natural colors. 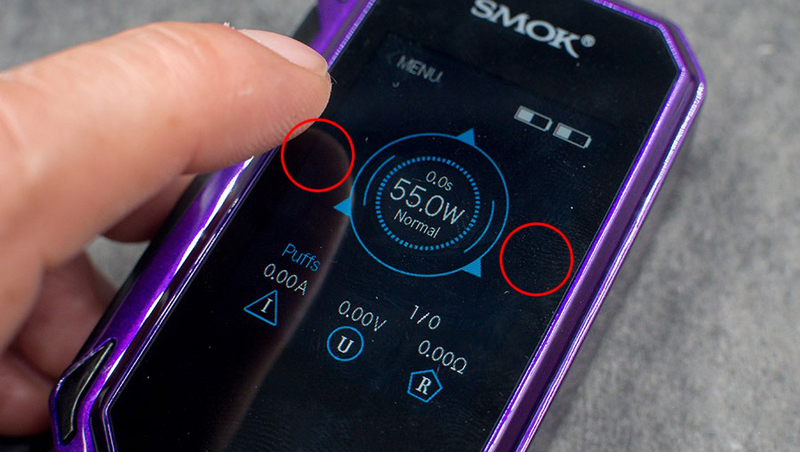 Although the thickness of the host optimization is not apparent, less than 1MM thickness difference is not easy to perceive the range, but within the SMOK G-Priv 2 Kit battery cover seems to see the engineer’s dedication, the two battery groove settings in addition to allowing the battery Safe, it can also make the battery cover as close as possible. 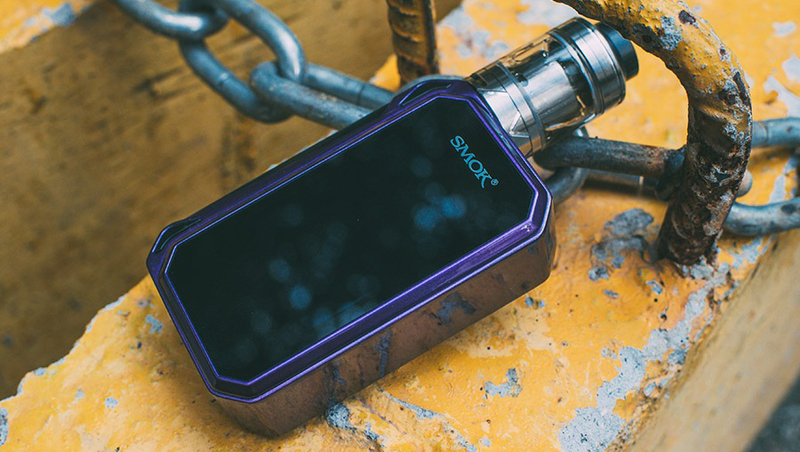 In addition to some intuitive changes, G-PRIV V2 continues all the advantages of V1, such as the independent 510 interface, large area ignition button, a separate touch-screen switch button and so on. 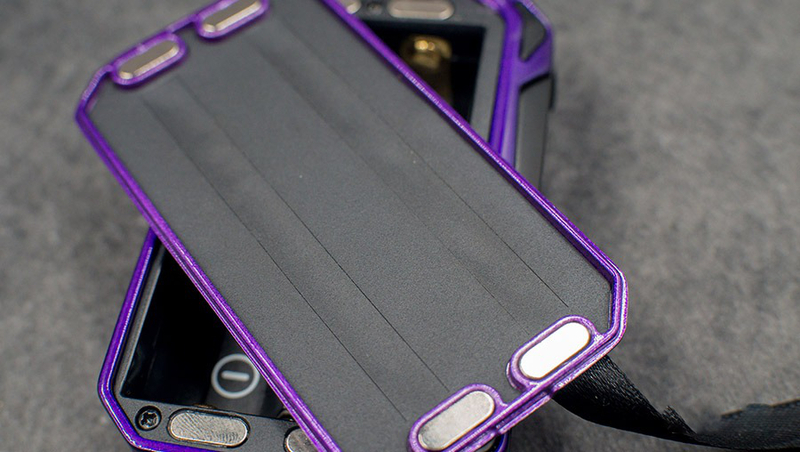 Due to the relationship between the touch screen, touch screen key function is apparent, adjust the output after the touch screen display to prevent accidental touch can also save power, and the location is set at the top of the ignition button to make the operation more efficient and natural. Compressed space is mainly located on the side of the ignition button, check the V1 version of the internal picture can be distinguished. 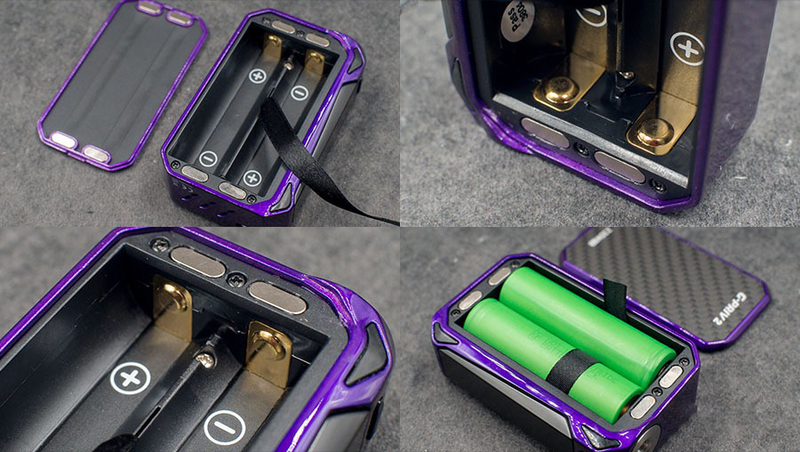 For a brand belonging to the brand’s flagship model, SMOK’s artistry, without doubt, the interior neat of the processing to maintain the excellent quality of the manufacturers, as a simple battery removal belt is also just the right length. As a flagship, must not be limited to supporting the finished nebulizer. G-PRIV V2 has enough strength to control all RBA; it is a maximum 230W output with the temperature control dual-mode host, 0.1-ohm minimum resistance support (VW) has been the majority of the use of no threshold. Or friends who like the suit, X-BABY is the official RBA kit with the atomizer, through the official platform to buy this DIY accessory. Seemingly no formal changes in the 2-inch touchscreen, in fact, has been a comprehensive upgrade, in the succession of sensitive touchscreen operation, SMOK for this display for the resolution upgrade, UI operation icon optimization, system menu operation process optimization, so that The whole experience is better, the following will be a brief introduction. Red circle area can be seen in the V2 has been more clearly optimized, which will be smaller than the V1 when the little arrow icon to be more clear. Operation menu is more flattened is the trend, in V1 when the “SETTING” option has ceased to exist, replaced by “SCREEN” screen settings. The main menu under the four options directly touch to enter the relevant interface but remember to select the interface mode, and you need to move the battery below the switch icon to be considered successful. To V2 this generation of control interface to further visualization, the operation only need to directly click on the required options, such as VW fever mode, temperature control coil material. Red circle part of the adjustment for the output of the touch point, do not use the finger touch when the two triangular logos is hidden in the actual operation of the excellent sensitivity, and no reaction delay and other adverse conditions. In the panel of the independent battery power, resistance, real-time output voltage, and different logo are also very clear; novice operation is also relatively easy to understand. 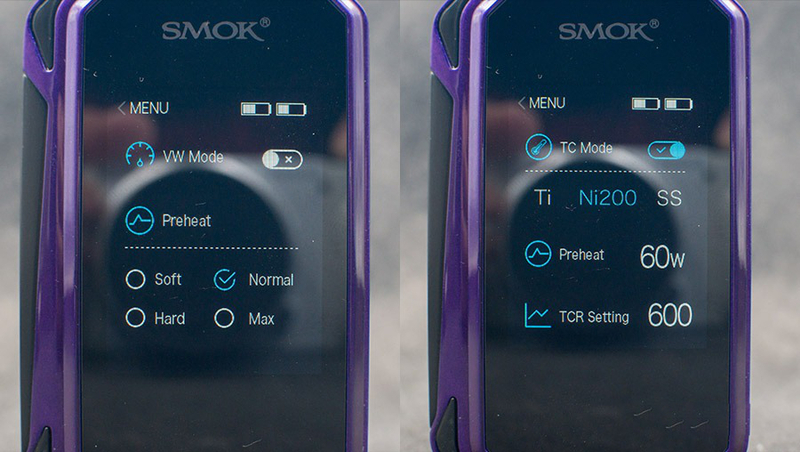 For the SMOK brand under the host product, its update rate in the global counterparts can be regarded as the forefront of the list, although the chip update speed will have a period, may be a period of time the product using the chip are similar, but we can not deny the fuselage Hardware settings for our daily use of the chemical reaction. G-PRIV V2 in the first generation on the basis of the size of the fuselage, bringing a more convincing grip and carry convenience; the kernel also provides users with a new 230W chip, optimized Operating system, UI layout design, if the previous generation of G-PRIV because the size is slightly too large and hesitant you, SMOK G-Priv 2 Kit and whether you can make you tempted?